In the Red Barn: Free Pictures with Santa! Free Hot Chocolate and Cookies! Free Treats for the Kids! Community Cupboard is having a food drive this Saturday, December 6 from 8am to 12 noon at the TrailMark Park playground. There will be cookies and hot chocolate for those coming by. The concept is to promote food drives for communities and families that have time constraints or may be too far away from traditional donation points. When you donate you are encouraged to take "selfies" and promote the idea to all of your friends! The final weight of all donations delivered will be posted on the TrailMark at Chatfield Facebook page. TrailMark Homeowners: Thanks to all those who participated in the recent food drive on December 6th. The donations were delivered to a local food bank so that our less fortunate neighbors might enjoy a merrier holiday season. Your thoughtfulness is truly appreciated and shows how giving TrailMark homeowners are. A shout out to Sunny Puckett who provided coffee, hot chocolate, and cookies for everybody. We appreciate your support, Sunny! A special thanks to Dan and Cate Locke who organized this TrailMark event. You make us proud!! Thanks to All!!! November 20, 2014 - We welcome everyone to our new page "TrailMark HOA." 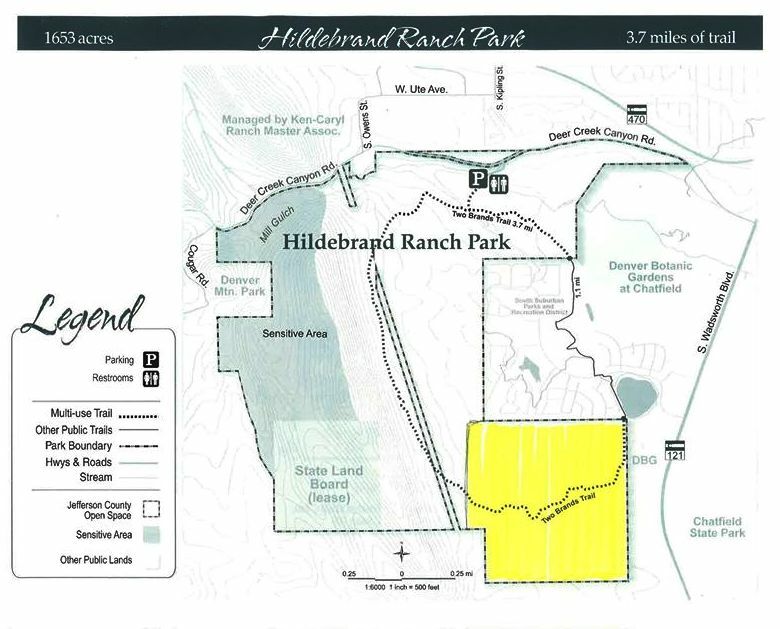 This will allow board related questions to come directly to the HOA, leaving the "TrailMark at Chatfield" page for personal conversation between neighbors. We hope that, by funneling questions and comments directly to the board's Facebook page, better communication will follow. Please Click Here to read more about the HOA's new Facebook Page. November 19, 2014 - For those of us in TrailMark, it is important to know that West Metro Fire and Rescue is our fire and medical emergency responder and Littleton Police is our law enforcement responder. If you have a medical or fire emergency and need to call 911, immediately tell the operator that “West Metro” is your fire district. If calling from a cell phone, expect to provide your address, because it will not be known automatically to the dispatcher. If you have a police issue, call 911 and ask for Littleton police. A sign with this information is attached here - you may wish to print it and put it on your refrigerator, to have it handy. There are three terms up for HOA Board Election. Any homeowners that are interested can complete an application and their name will be placed on the ballot. Positions are irrelevant at this time as they will be decided after the election. Please contact Management at 303-730-2200 ext. 3135, or by email to NHenricks@ColoradoManagement.com with questions. A bicycle was stolen from a garage on Eden near Everett Tuesday, September 30th. Thefts like this are common in our area and this is a good reminder to keep our garage doors closed and stay vigilant. If a men's black mountain bike - brand name Scott - is found, please contact the webmaster at communications@trailmarkhoa.org. September 26, 2014 - Preliminary results came back positive for plague in the prairie dog colony on the south side of TrailMark. Public health is posting notices warning people to avoid the area. Jeffco Open Space has yet to determine if they want to close the whole park. The loop trail actually goes through all of the colonies, and at this time it is not known if the outbreak has run its course or will impact the other sites. It is recommended to the community to avoid using the park for the time being. If you can't, at least leave pets home and wear bug spray to prevent bites from fleas. It is also important to keep cats inside as they are susceptible to plague whereas dogs are not. People should not pick up a dead rodent if they encounter it in the park. Do you have a desire to contribute to your community? The HOA Board is seeking homeowners who may be interested in becoming a partner with the community. If you are interested, please contact the Association Manager, Natasha Henricks by October 1, 2014 at 303-730-2200 x 3135 or by email to nhenricks@coloradomanagement.com for more information regarding the positions. If you have expertise and/or a desire to help out in your community, we would love to hear from you! Email us at board@trailmarkhoa.org or join us on Thursday, September 11th at 6:30PM at the TrailMark Learning Center. Due to safety concerns about crossing TrailMark Parkway, the Safety Committee has recommended to the Board that additional crosswalks be installed. The Safety Committee worked with the City of Littleton to investigate areas where pedestrians are already crossing the street, but where there is no crosswalk. The goal in adding additional crosswalks is to increase awareness of these pedestrian crossings. The locations of the crosswalks were chosen so as to allow each “section” of our community to safely cross TrailMark Parkway to access our beautiful parks and trails. The City of Littleton will fully fund the project and will be out painting in late August or early September. Please see the map showing the locations of the existing and new crosswalks and signs. *Note: Regarding the “double” crosswalks at S Dover and Everett: The Safety Committee met with SSPRD and asked about the possibility of removing the “horseshoe” shaped pathways that create two pathways to the road for crossing, but South Suburban denied that request stating that folks would walk there anyway and mat down the landscape such that we would likely be asking them to put the “horseshoe” walkways back in a few years. Though it may seem strange to have two crossings so close together, these second crossings are the best safety measure given the location of the paths where folks are already crossing. There will only be one sign in each direction for these crossings (rather than one sign for each crosswalk) in these cases. The HOA Board has received a report of a bear near homes between S Dover Way and S Dudley ﻿ Way Friday night, July﻿ 25th. If you see a bear in the neighborhood, please report it to Colorado Parks and Wildlife, 303-791-1954 or after hours emergency call the Colorado State Patrol, 303-239-4500. • Remove all bird feeders. • Keep garage doors closed when not in use. • Close and lock all ground level windows and doors. For more information on how to bear proof your home, visit www.wildlife.state.co.us/bears. The city of Littleton entered into an intergovernmental agreement with the West Metro Fire Protection District to provide fire protection services to the TrailMark neighborhood. You are encouraged to provide this ﻿letter﻿ to your homeowners insurance company as the included information may positively influence insurance ratings. This letter can also be found at the City of Littleton website on the Littleton Fire Rescue Documents Downloads page.